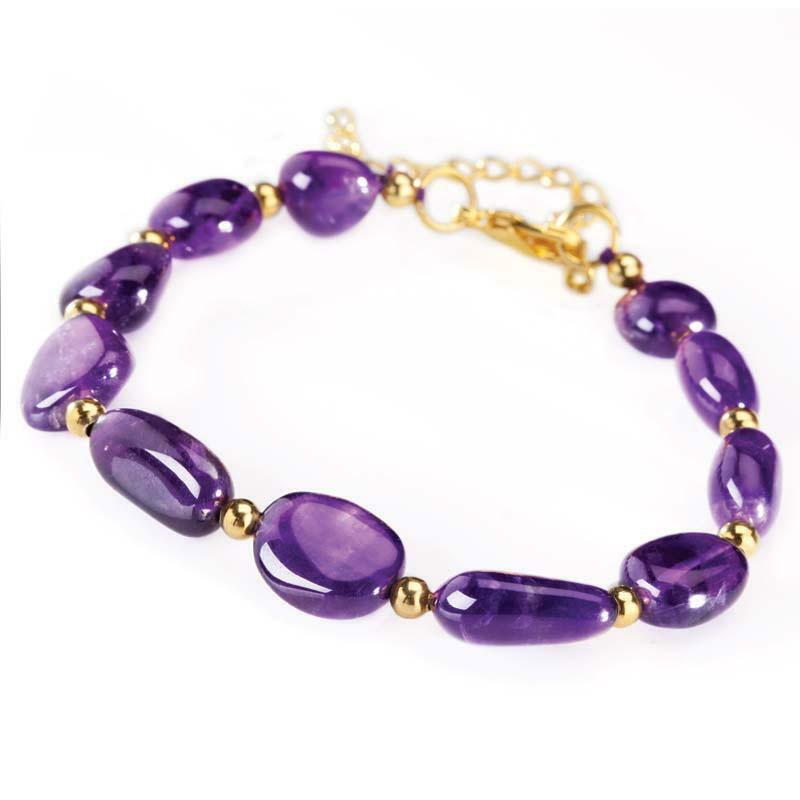 Since its discovery around 3000 B.C., the deep purples of the amethyst have symbolized royalty. Catherine the Great and Egyptian rulers favored the gem as an emblem of wealth and luxury. Once thought to be a token of Christian love and sacrifice, the amethyst was used by medieval clergymen to promote divine revelations and wisdom. While we appreciate the history, there's nothing like the present. And there's no present like 200 carats of this majestic violet stone for this exclusive price! Your Lusso Amethyst Necklace is a 200-carat symphony of smooth purple. Each genuine gemstone's shape and translucence ignites the velvety, violet hues. 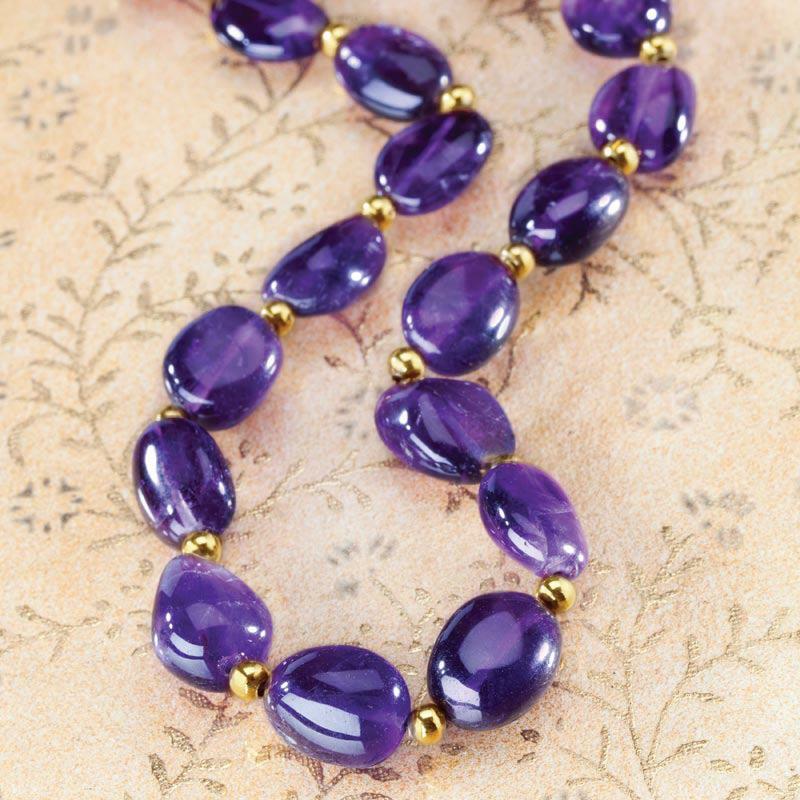 The polished amethysts are hand-set on double-knotted jeweler's thread, and the stunning 18" necklace (with 2" extender) secures with a gold-finished lobster clasp. Once you wear it, you'll see that it hangs with the same weight and elegance as similar strands that sell for hundreds more.